We have won a few awards including Northants CAMRA Pub of the Season Aug 2010 and Spring 2013. The Lamplighter was also voted Northamptonshire Food & Drink Awards Community Pub of the Year 2010/11 – we came runner up in the same category for five years running. In recent years Muddy Stilettos awarded us Best Destination Pub in 2016. We offer great beers in keg, cask and bottles from around the UK, Europe and beyond – Craft Beer and Belgian beers, German and Czech Pilsners, locally produced Craft Cider and of course loads of well sourced Real ale on our 8 hand pumps. We are proud to support CAMRA and actively promote their LocALE scheme – an initiative that encourages pubs to stock locally brewed real ale and builds on a growing consumer demand for quality local produce. We love Pubs and The Lamplighter is a traditional pub at heart. 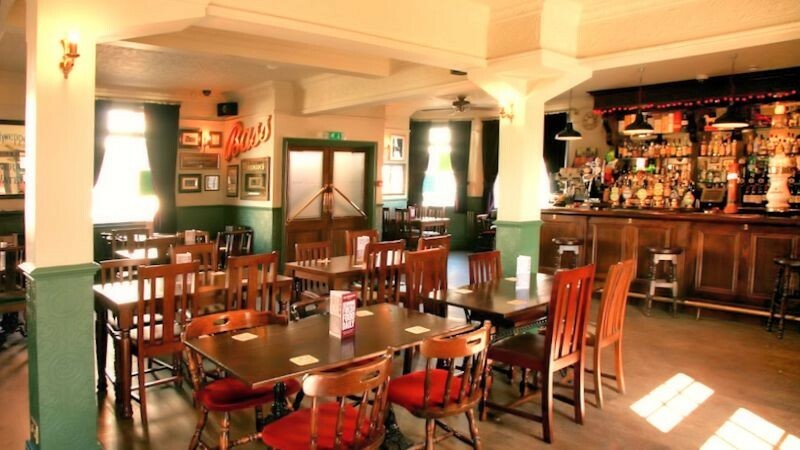 We enjoy bringing people together and hosting great events – this is only made possible by our friendly service, great staff, superb ales and by our fine customers. Oh, and don’t forget to check out our popular courtyard garden – a great sun trap in the summer. To the rear of the garden we have a retractable awning which extends to offer shelter if required. This area is well lit and has individual heat lamps at each table to offer warmth in the winter months.